Volunteers and the community as a whole completed so much great work on behalf of the animals of Tillamook county, we find it practically impossible to cover it all. But, here are some of the highlights of 2009. United Paws spays and neuters 1,027 cats and dogs, bringing our grand total to 3,410. 2009 is the first year we reach 1,000 animals spayed and neutered. These are animals who would not have been spayed or neutered without United Paws, because we target 1) economically disadvantaged residents who cannot afford this vital operation for their pets and 2) colonies of free-roaming cats whom compassionate residents wish to care for daily. For many of these 1,027 cats and dogs, their spay/neuter visit to the veterinarian is the only time they will ever visit a vet. United Paws pays $47,500 to local veterinarians for spay/neuter surgeries, for emergency care of abused and rescued cats and dogs, and for medical care of pets in our foster program. We give 145 abandoned, homeless cats and dogs a “second chance” through our foster program and monthly Adoptathon afternoons in the Tillamook County Fairgrounds, 4603 East Third Street, Tillamook. Volunteers and friends of United Paws supply more than $4,000 in pet food to the county’s economically disadvantaged pet owners. Following the 2008 success of our first sponsorship of the Neuter Scooter, a MASH feline sterilization unit, naturally we invite this veterinary team to return to Tillamook to continue the good work. In February, the Neuter Scooter spays and neuters a record 134 cats and kittens in one day; we ask them to come again in June, when they again sterilize over 100 kitties in one day. Then they suggest they visit one more time in September – we had very little notice to alert Tillamookians – nevertheless 95 cats and kittens are sterilized that day. We’ll be asking the Neuter Scooter to come as often as they can throughout 2010 … and as long as we have funds to foot the bills of those in need. The high spot of the United Paws’ year has to be Roan. The terrified young dog was seen for a week on Netarts Beach, evidently starving. Finally he made it to someone’s garden, but was convulsing with diarrhea and vomiting so badly, that the man whose garden he showed up in wonders if he should shoot the poor dog to end his misery immediately. Instead, Roan ends up at Tillamook Veterinary Clinic, where he’s diagnosed with a terrible disease starving dogs pick up from eating garbage. Within a day of being given the right medicine, Roan is on the mend. Bloodwork reveals he’s riddled with parasites, but his vital organs are functioning. While Roan is nursed back to health, puts on weight, and slowly loses his terror of humans, especially men, United Paws sets about finding him the best home we can – and do we ever succeed! After an unbearable life, Roan now lives it up in the lap of luxury, commuting between Manzanita and Portland. The low spot of United Paws’ year is the shooting of Justine, a free-roaming cat cared for at the Port of Tillamook Bay. Justine is the third cat in this semi-feral colony to be shot. She was only 2 years old and friendly. As her caregiver said, “Justine would have just sat there and let you shoot her.” Because United Paws paid for Justine’s spay out of donations from supporters, in a way she “belonged” to all of us. A United Paws supporter offers a $1000 reward for information leading to the arrest and conviction of the shooter. KTIL-KMBD interviews Justine’s caregiver about the shooting. United Paws places reward ads in the Headlight-Herald and Tillamook County Shopper, and the Headlight-Herald follows up with a prominent article about this illegal shooting of a beloved United Paws’ cat. Our thanks to the Sheriff’s department for stepping up patrols in the area. 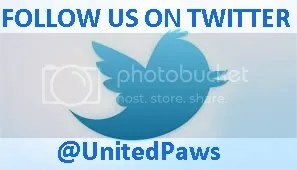 While United Paws’ mission does not include animal abuse cases, nevertheless we have to confront it almost daily. A woman has to flee her home, leaving behind 3 cats the “man of the house” threatens to shoot (shooting cats is illegal). The woman can’t take the kitties where she’s escaped to, but, while the man is in jail, she returns every day to care for them. Meanwhile she desperately seaches for a haven for her pets. The older cat finds a home with an 85-year-old lady, who says, “We old ones have to look out for each other.” The two younger cats, a year old yet still petite as kittens, find temporary refuge in foster care. United Paws spays the little ones and ensures they’re in good health. A neighbor of their foster Mom visiting from Portland spots the tiny pair, tumbles head-over-heels in love with them, and adopts them. United Paws’ volunteers are asked to rescue about 3 dozen cats from a hoarder. All the animals are in wretched condition. The house they’re rescued from is so disgusting, it has to be burnt to the ground. Even though United Paws’ volunteers wear masks, they gag uncontrollably as they search the house for kittens and cats. United Paws’ foster volunteers nurse the animals back to health and adoptability. Because Tillamook County statutes cover only dogs, many believe the law does not apply equally to cats, but this is erroneous. Cat and dog hoarding are both illegal under Oregon Statutes, and by law hoarders must be prosecuted for animal abuse. Two Welcome Firsts for United Paws! For the first time ever, a Tillamook County enterprise puts on a fundraiser to benefit United Paws. The proprietors of Four Paws on the Beach, Manzanita, organize with North Tillamook Rotary a day of doggie frolic on Manzanita Beach in August 2009 to aid both United Paws’ spay/neuter program and Rinehart Clinic’s child wellness project. KMUN/KTCB, Coast-105, and KTIL-KMBD local radio stations devote entire programs to Muttzanita; print media coverage is too extensive to list here – from The Daily Astorian and its Coast Weekend supplement to The Oregonian – and, as ever, local Cable TV helps us advertise this grand event. At the end of a great day, the city of Manzanita then presents United Paws with another check in appreciation of all the work we do for the county’s dogs and cats. Muttzanita promises to become a fixture in the summer calendar of happenings you can’t miss at the coast. While PETCO Foundation has been generous to United Paws over the years by donating funds toward our spay/neuter efforts, we decide to write a grant asking for an in-kind donation of pet food because, throughout 2009, we receive more calls for help from needy folk to feed their pets. PETCO comes through with a large donation of dry and canned cat and dog, kitten and puppy chow and kibbles for us to distribute to those Tillamook County residents struggling during the recession to feed their beloved pets adequately. United Paws partners with Bay City Arts Center to put on a successful fundraising art show. Thank you to all gifted artists who contributed their work! In April, we invite Tillamook Animal Shelter (TAS) to join us at our Adoptathons to showcase dogs turned in by Animal Control to TAS. We also offer assistance to TAS to help advertise and place the dogs. United Paws looks forward to continuing this relationship with TAS to help all Tillamook County’s companion animals find good, “forever” homes they so richly deserve. A beautiful cat-themed quilt created by Barbara Trout of KTIL-KMBD raises more welcome funds for United Paws. United Paws continues to receive local support in the form of grants from Nehalem’s Hope Chest, the Eugene Schmuck Foundation, Nehalem Bay Garden Club, among others. And once again, TLC Federal Credit Union, Tillamook, donates the cost of our liability insurance and pays for full-page ads of United Paws’ animals for adoption in the Headlight-Herald. TLC Federal Credit Union is a truly generous supporter. We renew our membership with the Tillamook Bequest Coalition. We continue speaking engagements, such as before Tillamook Rotary, to “educate” more residents about how we help the community. United Paws again takes advantage of the People’s Utility District’s offer to mail appeals for funds in one of their monthly bills, which go out to 17,400 customers. All we have to pay for is printing, which is more than covered by donations in response. Volunteers staff a booth at Tillamook County Fair. 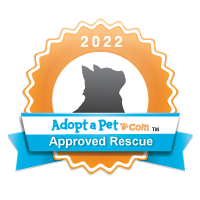 In July we buy a digital frame to showcase cats and dogs for adoption, which proves to be a great asset at all tabling events. Pictures of our animals pass across the screen continuously and are a sure talking-point. Volunteers staff a booth at the Christmas Alternative Fair in Manzanita. Rather than buy unwanted plastic gifts for friends and relatives, alternative fairs encourage visitors to donate in a friend or relative’s name to a worthy cause. United Paws raises much needed cash, makes more friends for the animals, and decides this is well worth doing again next year and every year. We look forward to another successful year in 2010.